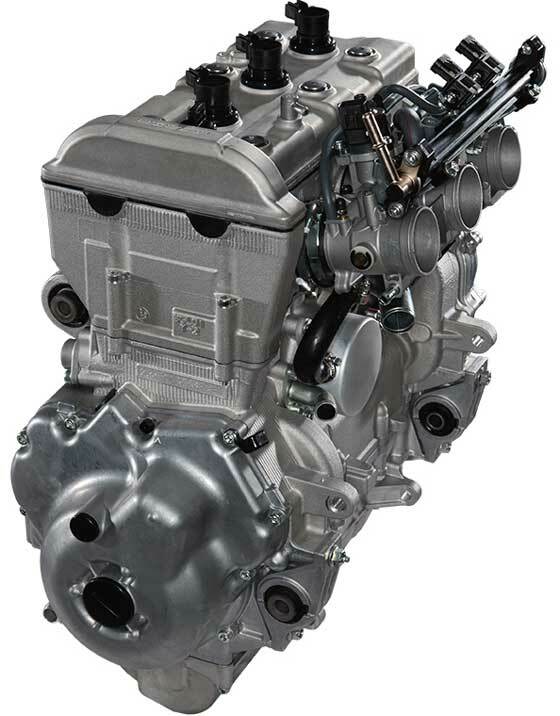 [Motorauthority] Nissan develops 400hp 3 cylinder race motor.. That weighs 88lb. Nissan and its motorsport partner NISMO have finally revealed the engine that will feature in its 2014 ZEOD RC electrified race car, which will compete in the Garage 56 experimental entry in this year’s 24 Hours of Le Mans. The engine is a turbocharged 1.5-liter three-cylinder putting out an incredible 400 horsepower, but what’s more impressive is that the engine weighs just 88 pounds, which means a human is quite capable of carrying it (turbocharger and all), as NISMO chief Shoichi Miyatani demonstrates above. Damn, sports car racing, especially LMP1 is REALLY heating up. Porsche entering, this Nissan stuff, and Ferrari is expected to make a bid for an entry too. That's a thing of beauty right there. Perfect candidate for my next superlight project LOL. Really really interesting. Im excited to see what else they can do with it. Maybe the new z will feature something like this? Its a bit small for a car like a z but maybe a bigger one in the future. My dream go cart engine.